One of the biggest challenges for municipalities is encouraging their citizens to participate in a local recycling program. There are many advantages of municipal recycling and once you are able to convince the people of these benefits, it will become easier to boost participation. Whether you choose to focus on commercial recycling or institute a recycling rewards program, it is important to work with a reputable recycling center to ensure that you get the best prices for scrap metal in order to ensure mutually beneficial municipal recycling in Massachusetts, Rhode Island or anywhere else in the surrounding New England area. The first place to start when you want to get your citizens and local business owners on board with a municipal recycling program is to increase your communications efforts through outreach services that focus on providing information and education. Avoid focusing on guilt-based environmental approaches that can alienate citizens and instead place your focus on the positives that can come from participating in a community recycling rewards program. Create drop off centers throughout the community that are easy to find and access. Distribute encouraging promotional materials on trash day to encourage recycling. Massachusetts to make sure they understand the local benefits to all. Make sure any changes, upgrades or new programs are highly publicized. Include information about the local recycling rewards program, commercial recycling opportunities and the local recycling center where residents can get the best prices for scrap metal in your city newspaper or newsletter. The first best step toward reaping the benefits of all the associated advantages of municipal recycling is to stop, take a look at what you are doing and see if there is a way to do it any better. Mid City Scrap Iron & Salvage in Westport, Massachusetts provides programs and services for municipal recycling in Massachusetts that you can use to boost your community’s efforts and take advantages of the best prices for scrap metal and other recycling programs in the South Coast region. It is important to choose a service that will adhere to the national industry standards and be able to guarantee satisfaction to both the municipal government and the customers that are being served. In order to accomplish this, Mid City includes audits for those who participate in our Scrap & Recycling Programs to ensure that all of your residential and commercial recycling needs are being met. We also offer collection and transportation of materials, as well as specialty recycling programs and rewards. Make sure to offer electronic and appliance recycling programs to encourage proper disposal and recycling of this type of waste. Find out about mobile services for community or commercial recycling, such as mobile baling and shearing. Don’t just stop at recycling bottles and cans, learn and understand the difference between non-ferrous and ferrous metal recycling, to ensure that the needs of the community are met. Take advantage of services such as public drop-off facilities, roll-off container services and other types of scrap management services. Educate your community members about bringing additional items to the local scrap metal recycling center in Westport to get the best prices for scrap metal on bulk items. Another great way to make sure that you are getting all of the advantages of municipal recycling is to take a look at what others in your general area are doing with regards to municipal recycling in Massachusetts. Go out into the area, visit other cities, towns and counties to see what they are doing or speak with Mid City Scrap Iron & Salvage to ask about other incentives and programs that might be available in your area. Increase your flexibility and see what other types of materials can be collected outside of aluminum cans, bottles and newspapers. Find out the needs of your residents and see if you can offer additional services, such as oil filter recycling, oil recycling and other items that are sometimes excluded from programs because of the specific requirements surrounding their disposal. Evaluate the incentives given in your current recycling rewards program and see if there is anything else you can do to encourage participation. Communicate with Mid City Scrap Iron & Salvage on a regular basis regarding your program for municipal recycling in Massachusetts to make sure that you are doing everything you can to take advantage of all the offered opportunities. Create a list of goals that outline what you would like your municipal, residential and commercial recycling programs to achieve and go over them with your representative. While you might think that you are doing everything you can do to encourage recycling within your community, there are things you can do right now to boost participation and help your city, town or county benefit from all the advantages of municipal recycling. These ideas can be applied on a weekly, monthly or quarterly basis and can be used to also educate and increase awareness about the importance of community recycling. Evaluate the containers that you are using for curbside collection to ensure that the bins are large enough to meet the needs of the residents and businesses that participate. Sometimes increasing the size of the bins can increase the amount of recyclable materials that gets put out each week. Evaluate the performance of each drop-off center, not just drop-offs as a whole, to determine which location is working better and why. Host recycling events for specialty items or host fundraising events that require participants to bring in bottles and cans to increase awareness and to show the advantages of municipal recycling in Massachusetts. Encourage recycling in public parks, airports, bus stations, shopping centers, stadiums, convention centers and other busy places, as well as at special events hosted within the region, such as parades, festivals, concerts and holiday events. Focus on the non-recyclers within your community by finding new and creative ways to reach out to them, encourage them through a beneficial recycling rewards program or find another way to meet their needs. Contact Mid City Scrap Direct for More Ideas! 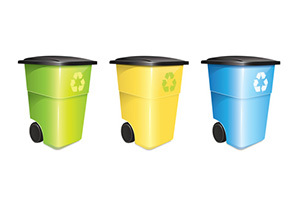 Our team is here to help you with your municipal recycling in Massachusetts. Our experienced staff will come out and meet with you at your site to provide a professional audit and consultation so we can suggest additional options, offer ideas that can reduce solid waste costs and help you set up a recycling rewards program to get residents involved. We will create a unique plan of attack for your city, town or county that you can use to boost residential and commercial recycling in order to enjoy all the advantages of municipal recycling, such as minimizing waste costs and boosting revenue potential by offering the best prices for scrap metal and the most comprehensive program for municipal recycling in Massachusetts. Call today at 774-319-5420 to find out more about what Mid City Scrap Iron & Salvage can do for you!